It is surprising how much ink is spilled on theories that banking is about to be wiped out by a tsunami called FinTech, resulting in the alleged mass closure of banks and unemployment of financial services professionals. Last time I was in New York, Wall Street was intact and thriving and specialized financial crime lawyers like myself were busier than ever. Those FinTech theories surprise me for two reasons. First, the law stands in the way of FinTech displacing even one dollar of financial services. A FinTech company is not a Brooklyn pizza stand – it cannot survive without being connected to the financial system, which requires a banking partner and a banking relationship. In other words, FinTech cannot disrupt anything unless the banks and lawyers (as regulators) let them. The second reason is that banks face a bigger threat than FinTech. Financial services are indeed about to be disrupted everywhere in the world and transformed by a tsunami. But rather than being caused by FinTech, the disruption will be the combination of artificial intelligence and automated banking by machines – for better or worse. 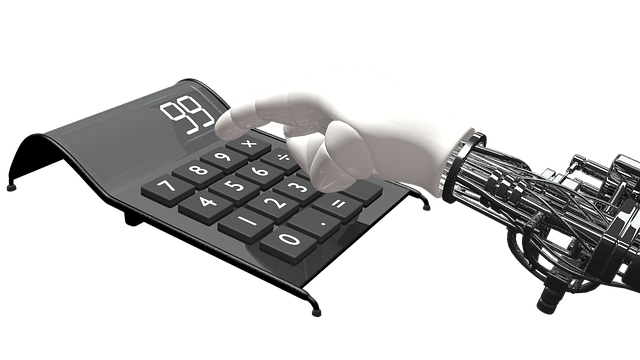 The promises of AI and robotic banking are impressive. The ability to have core banking functions run entirely by machines that automate functions and learn to self-improve will transform bank back offices and systems. If combined with the ability to interact with customers – including learning their typologies and meeting their banking needs – the potential is incredibly powerful and lucrative. According to an article in Banking Technology, Sweden’s national bank has an app that already handles more than 30,000 customer conversations per month, resolving their issues 78% of the time. AI and robotic banking let banks eliminate bank tellers and customer service employees, and therefore, physical infrastructure. Financial services, as a whole, will save billions annually when AI and robotic banking – technologies that are more efficient and less expensive than humans – are used to provide services to customers. Most banks will tell you that many of their customers hate going into a bank branch, especially millennials. Robotic banking solves that problem: it lets customers avoid the in-person banking experience and bank online 24/7 with access to problem-solving services wherever they happen to be in the world. For me, AI and robotic banking have a potentially game-changing role in the work I do locating and recovering assets from foreign nationals who have defrauded banks in Asia and fled to other countries. At a unit of Digital Finance Institute, we are working on AI tech to predict where certain foreign nationals are likely to have fled and which global banks, albeit unwittingly, are assisting them move money internationally. Predicting both the activities of foreigners and of the banks they use help enable the recovery of assets more quickly and efficiently. The same AI tech can be used for predicting terrorist financing activities and preventing fraud, thereby providing huge societal benefits. For financial services to realize the promise of AI, however, the technology must be introduced in an inclusive manner that embraces responsible innovation. The biggest peril of AI is that it will cause mass unemployment. In financial services, McKinsey predicted in 2013 that AI and robotic banking are expected to displace 110 million full-time employees by 2025. If national governments do not align now to address this, those 110 million workers will be unemployed and unemployable in the new tech-centric economy. AI has an additional flaw. Just as the person-controlled marketplace has problems with diversity, favoring certain groups of people over others, we run the risk of extending those biases to the programming of AI. The machines that will control parts of our society lack diversity. Their data sets and coding are rarely created by women or with consideration of integrating diversity or inclusiveness – a problem that Melinda Gates recently called the “sea of dudes” problem. If we do not require inclusive coding in all AI, we will have a skewed society in the years to come, dictated by machines coded by an elite subset of men. That brings me to the law. If there is one thing that unites Americans from coast to coast, it is the American constitutional democracy. If AI is to become part of our life, it has to be done with a view to incorporating the law and the constitutional values in all its aspects, including in banking. Although the average American bank client may not know it, banking services are not rendered to customers in a vacuum – they are rendered in a constitutionally sound manner that has evolved over time to protect bank customers. AI and robotic banking need the contribution of lawyers and our legal values as its data sets get created. AI and especially robotic banking, surprisingly, create a financial inclusion and unbanked problem that is getting little attention. Many global banks are shutting down hundreds of bank branches due to AI and robotic banking, forcing their customers to bank online. The elderly and visually impaired cannot often bank online because of visual impairment issues or a lack of sophistication with technology. Many poor people do not have computers or the internet or modern smartphones that enable them to download apps to bank online either. New immigrants that manage to bank in person cannot bank with English-only banking apps forced upon them. Many women from repressive societies that immigrate to the U.S. are prohibited by their fathers or husbands from obtaining cellphone services in their own names. When banking goes online or via apps, women in those societies lose financial control and financial dignity. Many other poor people that are paid in cash lose financial services when their bank branches are closed because they have no way to deposit their cash salaries. Technology should be designed to cure financial inclusion, not cause it. As with all new technology that is online, AI and robotic banking being deployed in the economy increases vulnerabilities to cyberattacks, raises difficulties in ascertaining the identity of an attacker, facilitates the introduction of foreign intelligence systems into banking through technology, increases the risks of accidents and increases liability for financial institutions. The reliance on AI and robotic banking for autonomous decision-making by banks may compromise financial infrastructure and poses a national security risk for the U.S. The way to marry the promises and the perils of AI and robotic banking in financial services involves regulators, bar associations, law enforcement, technology giants and the financial services sector coming together to map out a common strategy to create leading AI technology in an inclusive manner that incorporates constitutional values and provides responsible banking services to everyone.